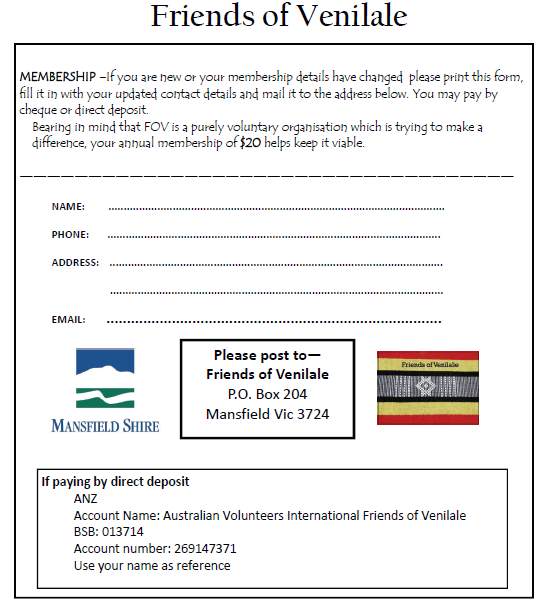 The Mansfield Friends of Venilale, FoV, have been working hard to organise a special event to celebrate the 10th anniversary of the relationship. 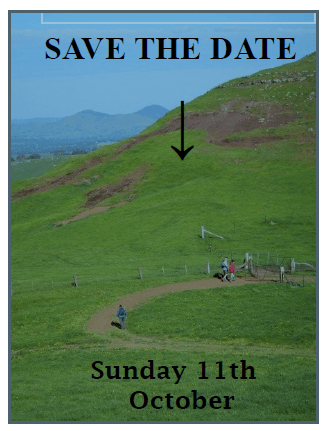 It will be delightful to catch up with so many of the people who have visited over the past ten years. This year has seen many groups visiting—Michelle Harmer, Ann Eldred and friends, a group of students from Mansfield Secondary accompanied by teachers Julie Aldous and Mauz, first time visitors Andrew and Helen Crockett and regulars David and Anne Foster. The Partnership Programme commenced with letters of introduction and small parcels of educational materials and our link with Venilale has been cemented. FoM feel confident that with their broadened positions of responsibility they can work together without the need for AVI assistance. 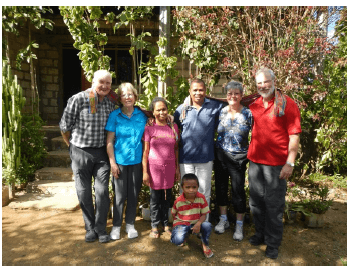 Ann Eldred accompanied by her granddaughter, Katy, her friend Katy Brumley and her daughter, Zarah, worked tirelessly before their visit to raise $5,000 for areas of special needs like the orphan-age, Salesian Medical Clinic and schools. As well as buying school supplies in Dili they managed to carry an enormous amount of really valuable goods like 400 pairs of knickers, 200 magnifying reading glasses, Wegs pegs, medical supplies donated by Peter Cullen of Mansfield Veterinary Clinic and 50 Days for Girls packs supplied by Noreen and Tony Carr. 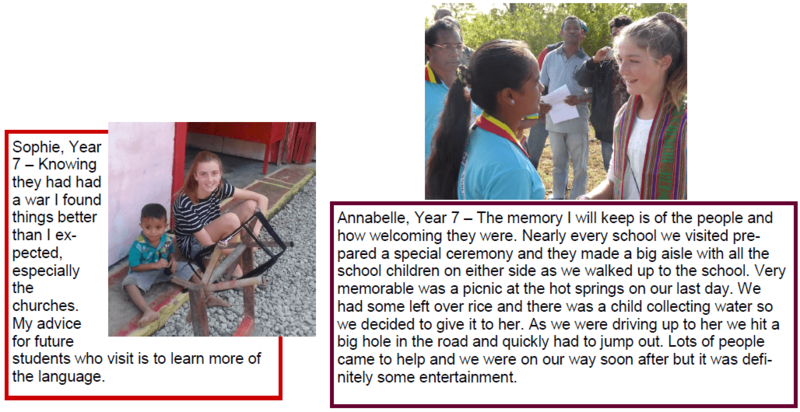 The girls’ reaction to their visit amazed their families. 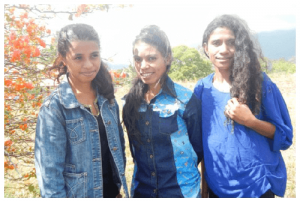 They were astounded by how happy yet poor the Timorese people are and they returned with far more respect for all that they are lucky enough to be provided with in Australia. 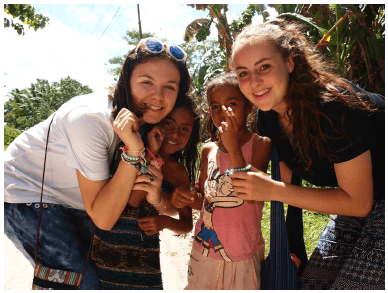 Prendergast travelled with four students to East Timor to visit Venilale: Darcy Croxford-Demasi and Chloe Morrow – Year 10 – and Sophie Monichino and Annabelle Fox – Year 7. “We had a heart-warming experience representing a number of Mansfield schools and churches as we took letters of introduction for the formation of new partnerships,“ said Julie. 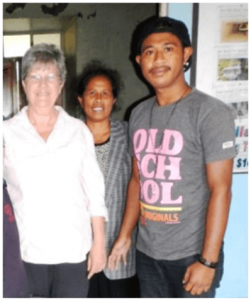 The College has had a friendship partner, Bercoli Junior High School, since 2003 when Kirsty Sword Gusmao first began these partnerships but this one level of support did not stretch to the many other schools in the Venilale district. 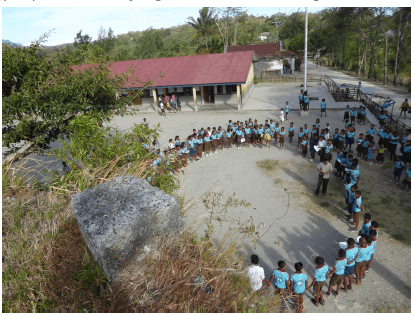 Over recent months, schools and churches in Mans-field have agreed to support these other schools in one of the poorest nations in the world. 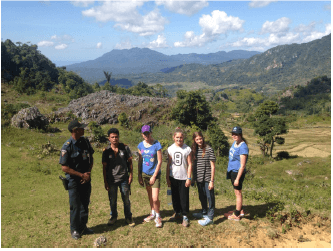 The students were a credit to Mansfield as they delivered messages and gifts, communi-cating with East Timorese students through a few words of Indonesian,Tetum and many smiles and gestures. 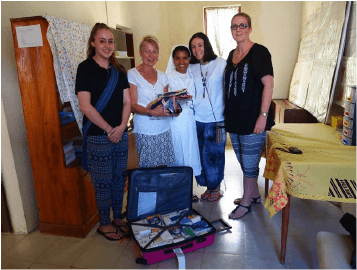 With bulging packs containing items for the Venilale Medical Clinic and Rotary pens for the schools, the girls were surprised that, when flying from Darwin, that they could be in such a culturally different country in the same time it takes to fly from Melbourne to Hobart. 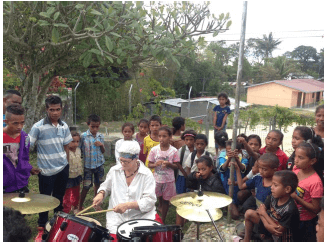 They off-loaded bundles into the hired troopie, bought library books in Tetum and a drum kit for the Venilale community before exploring Dili, including the markets, the Santa Cruz Cemetery, the huge Cristo Rei statue and the Timor-Leste Truth Commission exhibition, Chega! With good humour they managed the 4-hour drive to Venilale, guitars and drum kit balanced precariously around books, bags and pens. 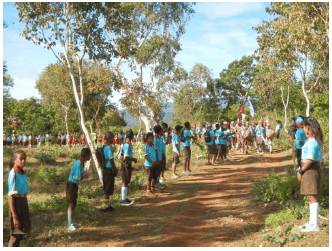 A feature of the trip was the joyful welcomes – songs, dances and processions – that were part of our reception at each school in the District. We were hum-bled by the honour shown to us and recognised that this was really for the Mansfield community whom we represented. Another highlight was to see Mauz teaching drumming to lo-cal students at the Venilale Information Centre. Chloe, Darcy, Annabelle and Sophie were a credit to their families and our community. 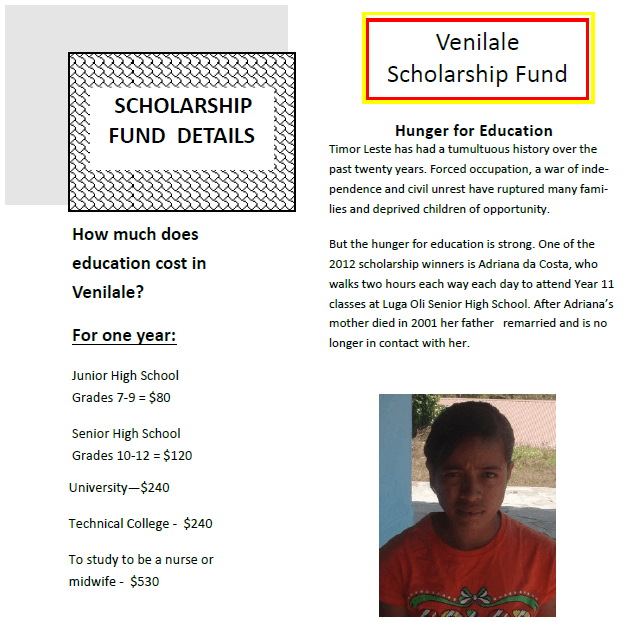 They strongly recommend to others, the opportu-nity to be involved in the next school trip in 2017.
purpose of staying in our sister village, Venilale, and making contact with all the other schools in this sub district as well as representing ‘Friends of Venilale’ and meeting many members of the community. Leaving Dili we soon saw the countryside – pigs, dogs, chooks and goats seemed to roam everywhere. We couldn’t get over the friendly welcome that we received throughout the trip with men and women waving and children calling out greetings. We all felt like celebrities. 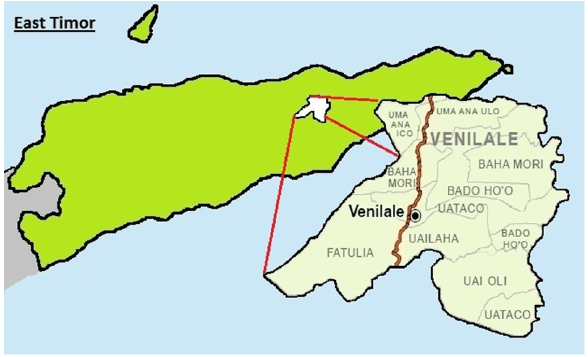 When we reached Venilale we were met by town officials, received neck scarves, welcomed with songs, official speeches and children performing traditional dances. It was truly wonderful. Afternoon tea was a selection of interesting local fare and the traditional strong cup of coffee while the four girls pulled chairs in a circle with a number of local teenagers and proceeded to get on fabulously without much language. paraded through an avenue of honour led by a drum band, a group of marchers and traditional dancers. The pride of the students in their culture and skills brought tears to our eyes. Chinese engineers are doing a great job. This massive investment in infrastructure will pave the way for better transport and communi-cation across the nation. 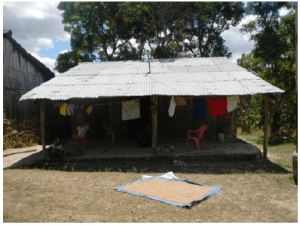 Timor-Leste impressions – very poor, quite basic facilities but a feeling of pride amongst a very friendly and welcoming people. 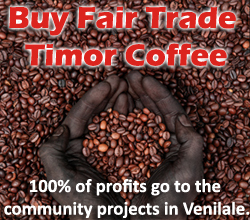 One can only admire the Timorese spirit and hope that the international commu-nity continues to help Timor-Leste in the future. Secondary College. Year 8 and 9 lessons ran from 8 am until 1 pm. Because there weren’t enough class-rooms, Year 7 students took their turn in the afternoon. They also taught at Uai Bua Junior High School and the senior high school. Friends of Venilale projects occupied their time at the Community Internet Centre, based in the com-manding old police station. 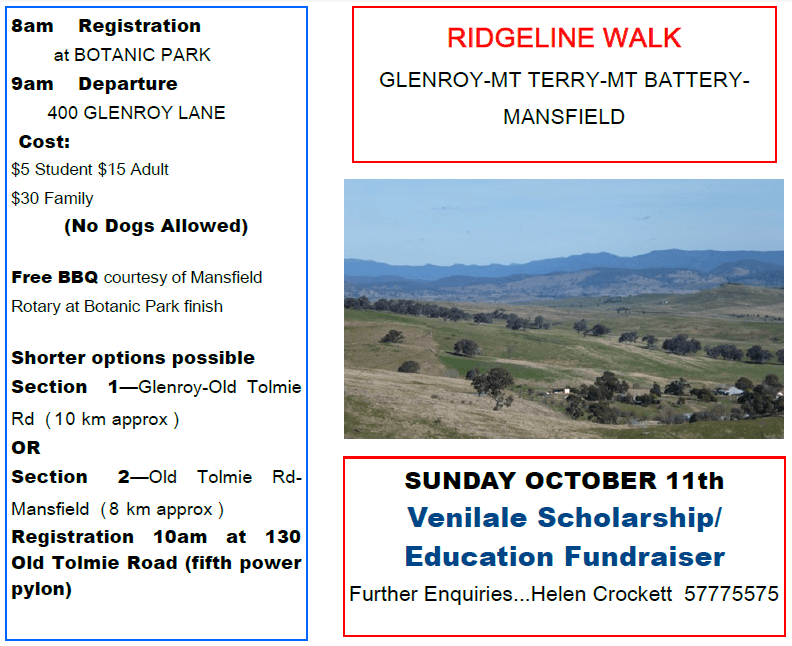 The Centre is in itself a project of Friends of Venilale whose partner organisation Friends of Mansfield has an office there. 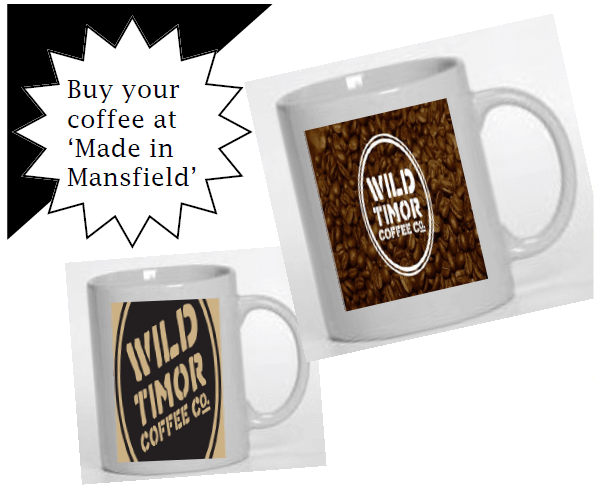 It also functions as a tourist information centre and crafts display and sales outlet. Its wifi internet is an amazing asset in a country where communication has been so difficult. A significant plan for the centre is to redevelop some of its rooms into a guest house. Presently there is no readily available accommodation in the small town. 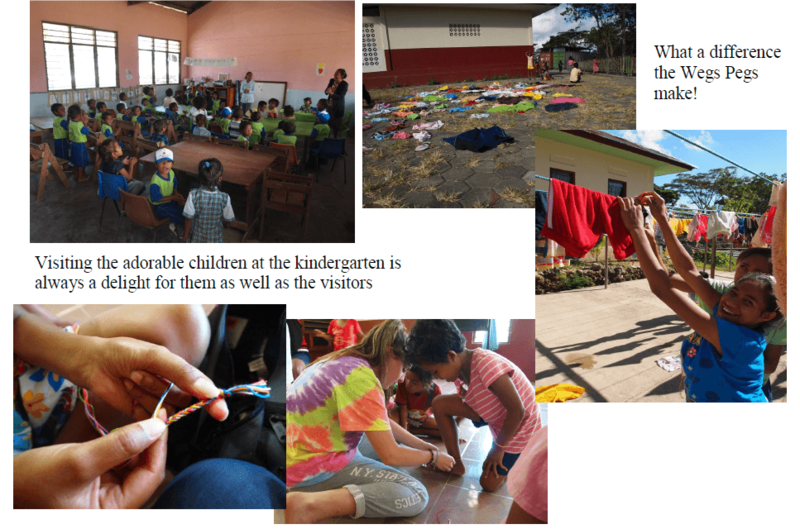 The development will involve connecting a water supply, refurbishing the kitchen, bathroom and toilet, as well as creating a dormitory. Much needed local employ-ment will be provided through reception, cooking, cleaning and maintenance activities. 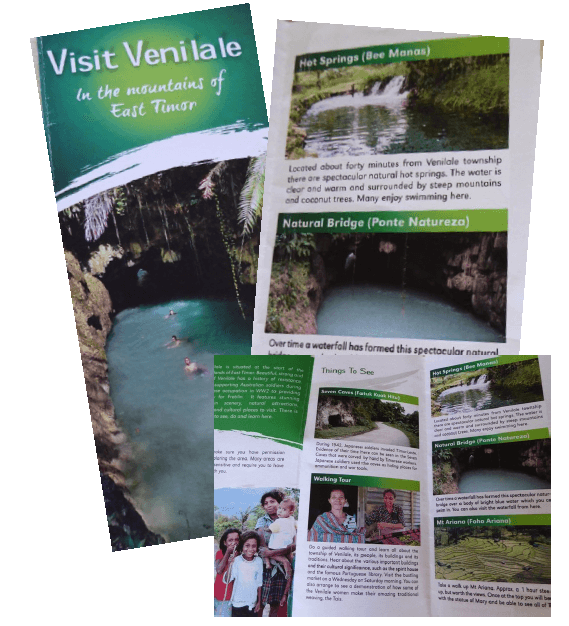 With the assistance of Mansfield Apex, Friends of Venilale already employs four local people, a manager, education officer who oversees the scholarship program, tourist guide and translator. 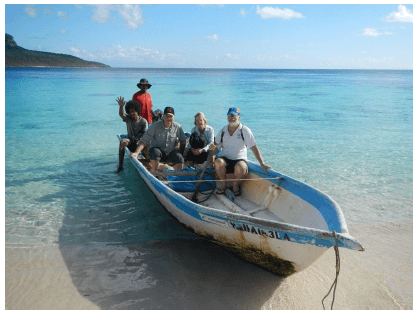 In July Joni prepared a wonderful ppt presentation for the meeting of the Baucau Friendship Groups in Baucau. It was primarily an information ex-change mirroring the Baucau Friend-ship Forums held in Melbourne. He showed the achievements and pro-gress of our relationship and it was very well received. Senyor Julio, Sen-yor Pedro, Ernesto and Mana Teresa also attended and found this chance to share as valuable as we do. Michelle Harmer (centre top) par-ticipated in The East Timor Hearts Fund Fun Run. 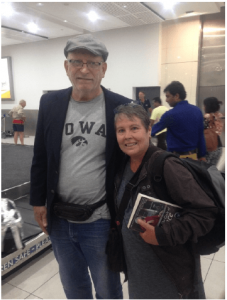 She walked 5 kilo-metres and raised $800 in one week. 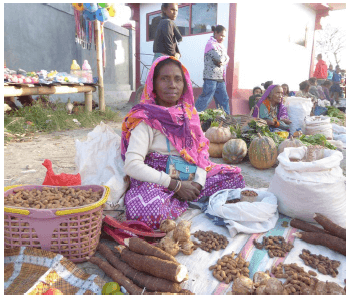 Most of the participants were Timorese. 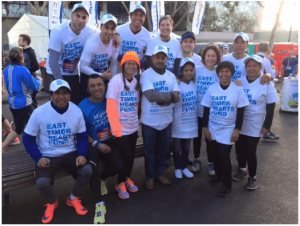 East Timor Hearts Fund is dedicated to providing life-saving heart surgery in Australia for young people from Timor-Leste. 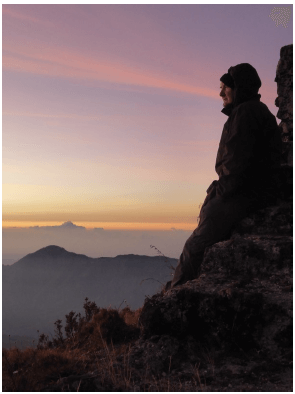 Dr Dan Murphy is the founder and Medical Director of the Bairo Pite Clinic in Dili. This is an NGO (non government organisa-tion). It provides free health care and train-ing at their hospital in Dili. This is vital in a country where infant mortality is 16 times higher than in a country like Australia, 1 in 3 children have stunted growth because of malnutrition, TB is a huge problem and those with cancer can only be given pain relief. 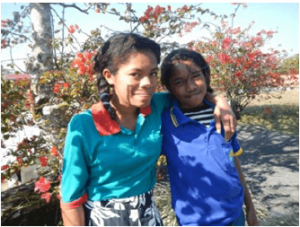 Marlina B.Ximenes – pictured with her 12 year old sister. 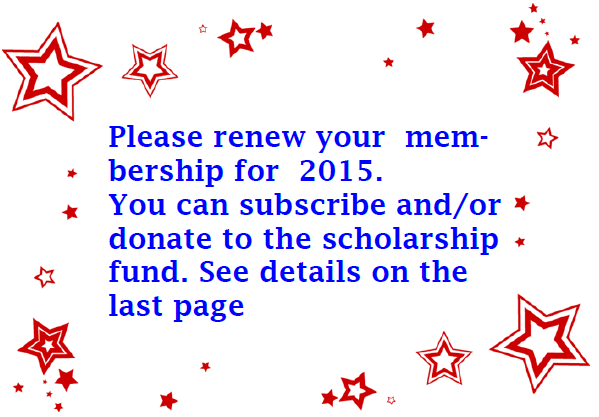 She is in Year 11 at Luga Oli Senior High – new 2015. She is 17 and was a delight to meet. Her favourite subjects are Maths, English, Portuguese and Biol-ogy and she wants to be a doctor. 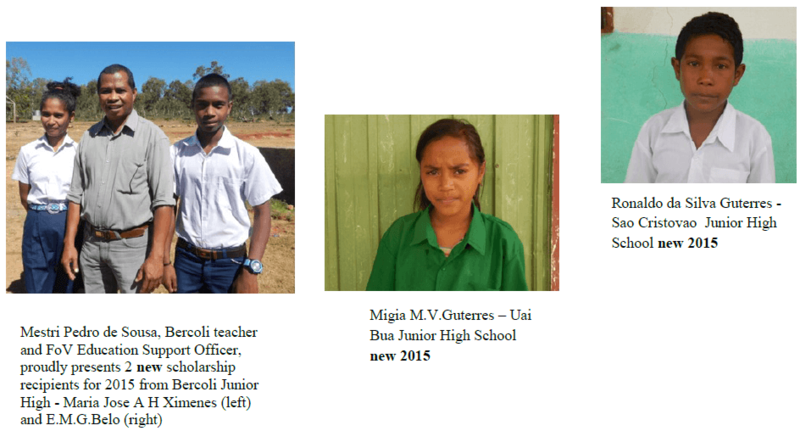 Nelio Jacinto S.Pereira – Year 11 at Sen-ior High School- new 2015. He is 16 and has two sisters and three brothers. His parents are both dependent on the invalid pension. His favourite subjects are English and Social Studies and he would like to continue his studies at university. Amandina do Carmo Belo (on left with denim jacket) is in her third year of a 5 year course studying Education in the English Department. She is enjoying her course. Re-markably we discovered that she is featured in the tourist brochure photo. Octaviana Rosa Sarmento, centre, is also in her third year studying Education in the English Department. She has 3 brothers and 4 sisters and lives with a cousin in Dili while studying. She dreams of teaching at the Senior Secon-dary or University level. Veronica da Silva (right) attended CTID for one year, to study computers and music because her parents could not afford to send her to University. Now she is also at Dili University in her first year of an Education Degree also specialising in English. She wants to be a secondary teacher. Eustaquius S. B. F. Guterres, nicknamed Eko, is pictured with his mother Mana Teresa at the Commu-nity Centre. 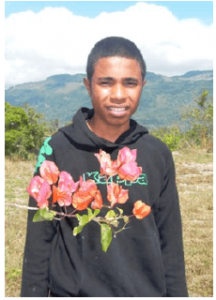 He is a continuing scholarship holder from 2013 and is in his third year of a 4 year Commu-nity Development course at the University of Timor Leste. He is the youngest of 4 children. His favourite subject is field work because he learns what other communities are doing. The scholarship pays his fees and also covers the cost of books and photo-copying. His ambition is to become a tour guide and work with the Sub District administration to empower the community.